The SAPPHIRE Suppression System is an automatic, fixed nozzle, fire suppression system using Novec 1230 fluid for Class A, B, and C fires. The system is designed and installed in accordance with the National Fire Protection Association (NFPA) Standard 2001, “Clean Agent Fire Extinguishing Systems.” It is listed by Underwriters Laboratories, Inc. (UL), Underwriters of Canada (ULC), and approved by Factory Mutual (FM). The system is capable of automatic detection and actuation and/or remote manual actuation. 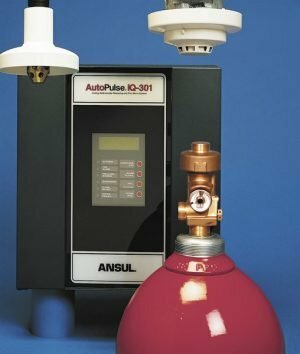 The detection portion of the fire suppression system allows for automatic detection by means of the AUTOPULSE Detection and Control System. Several different detection options are available such as smoke or air sampling. Exposure to Novec 1230 fluid at design concentrations up to 10% (NOAEL) is not hazardous to health. Refer to NFPA 2001 for exposure requirements. As with Halons, the EPA and the National Fire Protection Association recommend that unnecessary exposure to any agent be avoided and that personnel evacuate protected areas as quickly as possible to avoid the decomposition products of the fire. A system installation and maintenance manual is available containing information on system components and procedures concerning design, operation, inspection, maintenance, and recharge. Basic Use – The SAPPHIRE Suppression System is particularly useful for suppressing fires in hazards where an electrically non-conductive medium is essential or desirable, where clean up of other agents presents a problem, or where the hazard is normally occupied and requires a non-toxic agent. Composition and Material – The basic system consists of extinguishing agent stored in steel containers. Various types of actuators, pneumatic and electric, are available for release of agent into the hazard area. The agent is distributed and discharged into the hazard area through a network of pipe and nozzles. Each nozzle is drilled with a fixed number of orifices designed to deliver a uniform discharge to the protected area. On large hazards, where two or more tanks are required, actuation design can be utilized to actuate multiple tanks. Additional Equipment Includes – AUTOPULSE detection and control panels, releasing devices and alarms, strobes and warning signs. All or some are required when designing a total system. 3M Novec 1230 Fire Protection Fluid – Novec 1230 fluid, referenced as FK-5-1-12 in NFPA 2001 and ISO 14250, is a fluorinated ketone (or fluoroketone) with a chemical structure of CF3CF2C(O)CF(CF3)2. It is a clear, colorless, odorless liquid that is super-pressurized with nitrogen and stored in high-pressure tanks as part of the total SAPPHIRE Suppression System. 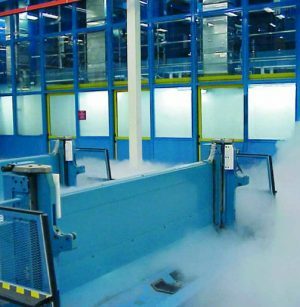 Although stored in liquid form, Novec 1230 fluid will turn to a gas upon discharge, making it an effective total flooding agent for a variety of hazards. As a clean agent, it leaves no residue behind and will not affect sensitive high-value electronics. Refer to 3M Novec 1230 Fire Protection Fluid Data Sheet (Form No. F-2003127) for more detailed information. Tank Assembly – The agent storage tanks are manufactured in accordance with DOT4BW450 and consist of a tank fitted with a valve and internal siphon tube. Tanks are available in eight sizes. Agent quantities are available in 1 lb fill increments. A nameplate is adhered to the tank displaying the agent weight and gross weight. Electric Actuator – The 24 VDC electric actuator is required to electrically actuate the tank valve. An electric signal is received from the AUTOPULSE Control Panel which operates the solenoid in the actuator. This causes the actuator to open the tank valve and discharge the agent. On multiple tank systems, only one electric actuator is required on the master tank valve. The remaining tanks will be actuated pneumatically through 1/4 in. stainless steel hose installed between each pilot pressure port. Pneumatic Actuator – The pneumatic actuator is required to pneumatically actuate the agent tanks. The actuator operates from the pressure from the nitrogen cartridge located in the ANSUL AUTOMAN II-C release. When the pneumatic actuator is pressurized, the internal actuator piston pushes down on the valve stem, opening the tank valve, and allows the agent to discharge. 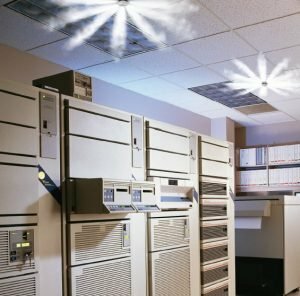 AUTOPULSE Detection and Control System – The AUTOPULSE detection and control system is designed to monitor fixed fire hazards. The control system can automatically actuate the fire suppression system after receiving an input signal from one or more initiating devices, such as a manual pull station or detector. The control system incorporates an internal power supply, in-line emergency batteries, and solid state electronics. ANSUL AUTOMAN II-C Releasing Device – The ANSUL AUTOMAN II-C releasing device consists of a metal enclosure which contains a spring-loaded puncture pin release mechanism, an actuation cartridge, electrical circuitry, and an input/output terminal strip for making electrical connections. The ANSUL AUTOMAN II-C releasing device provides automatic pneumatic actuation of the SAPPHIRE Suppression System. When wired to an AUTOPULSE control system, it provides supervised electric detection and release. It also provides manual actuation using the strike button on the release enclosure. Nozzles – Six sizes of discharge nozzles are available. Nozzles are designed to discharge agent in a 360º or 180º pattern. Nozzle sizes and orifice sizes are determined by the Hydraulic Flow Calculation Program. Hydraulic Flow Calculation Program – SAPPHIRE Suppression Systems are based on a Hydraulic Flow Calculation Program. The program predicts the two-phase flow of Novec 1230 agent and nitrogen through a pipe network. Information detailing the enclosure is entered and the program calculates the required pipe sizes, nozzle drill sizes, average nozzle pressures, and discharge times. 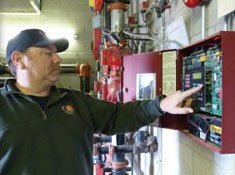 As system design calculations are critical to the success of the suppression system, only factory-trained personnel are authorized to perform system calculations. The SAPPHIRE Suppression System utilizes Novec 1230 fluid. This fluid has 0.0 ozone depletion potential, an atmospheric lifetime of just five days, and a global warming potential of 1.0. Novec 1230 fluid is registered with the U.S. EPA under TSCA and European ELINCS. It has met the requirements of registration under SNAP (Significant New Alternatives Policy) and is approved for use as an alternative to Halon 1301 for total flooding applications in occupied spaces. 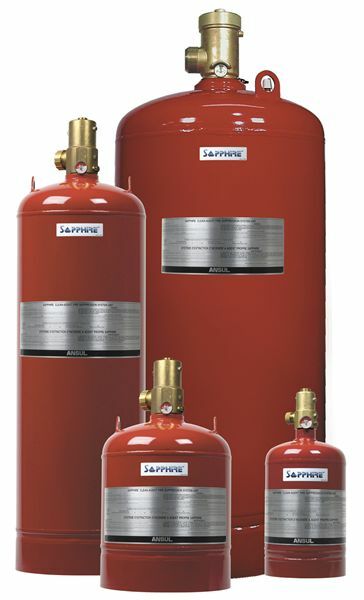 Applicable Standards – The SAPPHIRE Suppression System complies with the NFPA Standard 2001, “Standard for Clean Agent Fire Extinguishing Systems,” and EPA Program SNAP (Significant New Alternate Policy). The system is listed by Underwriters Laboratories, Inc. (UL), Underwriters Laboratories of Canada (ULC), and approved by Factory Mutual (FM). All system components and accessories must be installed by personnel trained by the manufacturer. All installations must be performed according to the guidelines stated in the manufacturer’s design, installation, operation, inspection, recharge, and maintenance manual.